With her blockbuster New York Times bestsellers Longitude and Galileo's Daughter, Dava Sobel used her rare and luminous gift for weaving difficult scientific concepts into a compelling story to garner rave reviews and attract readers from across the literary spectrum. 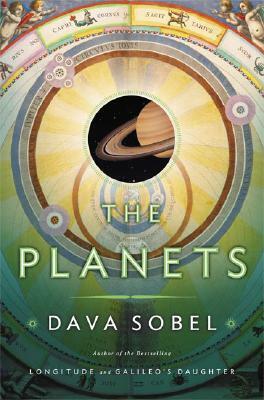 Now, in The Planets, Sobel brings her full talents to bear on what is perhaps her most ambitious subject to date--the planets of our solar system. The sun's family of planets become a familiar place in this personal account of the lives of other worlds. Sobel explores the planets' origins and oddities through the lens of popular culture, from astrology, mythology, and science fiction to art, music, poetry, biography, and history. A perfect gift and a captivating journey, The Planets is a gorgeously illustrated study of our place in the universe that will mesmerize everyone who has ever gazed with awe at our night sky. Description: An unmarked "gift quality" book from the bestselling author of Longitude and Galileo's Daughter.